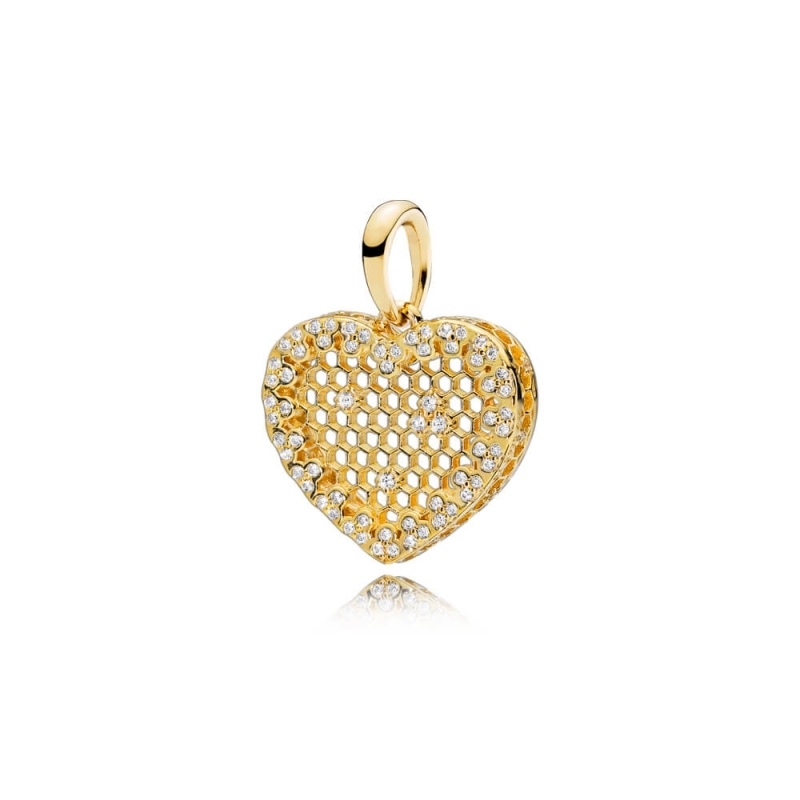 PANDORA Shine Honeycomb Lace Pendant. Aglow with the lustre and texture of honey this luxurious pendant is beautifully detailed with an intricate lace pattern. Made from 18ct gold-plated sterling silver and embellished with sparkling cubic zirconia stones stones.